Taken from the cow tail, this cut is heavily marbled and has a rich flavor similar to short ribs or pot roast. Most grocery stores carry this cut. If you don’t see it, then ask your butcher. 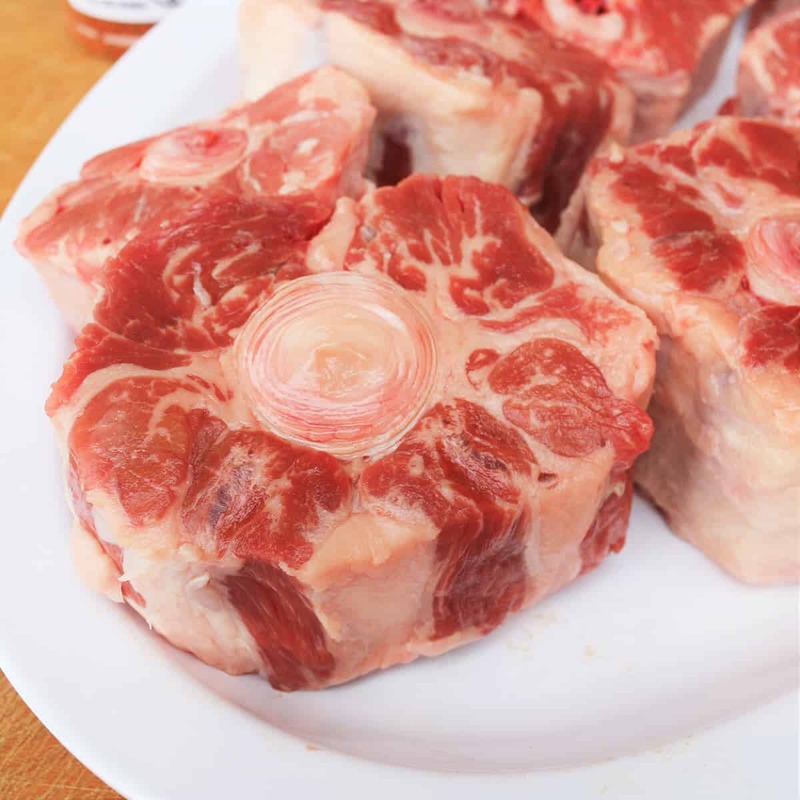 Instead of simply braising, these oxtails are cooked low and slow in a smoker for several hours, then braised. They are served falling-apart tender. Heat oil in a large pan over medium heat. Add the onions, celery, and carrots then sauté for 2 to 3 minutes. Add the garlic and continue to cook for 1 to 2 minutes. Stir in the Worcestershire, vinegar, tomato paste, and wine. Reduce for 3 minutes then add the beef broth and beef base. Stir and continue to reduce for 10 minutes. Set aside. Season to taste with salt and pepper. 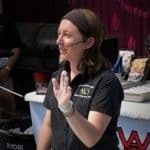 Prepare a smoker for indirect cooking at 275 degrees F (135 degrees C). Add a small chunk of pecan wood to the hot coals for smoke flavor. Trim excess fat from the outer edges of the oxtails and season all sides with the rub. 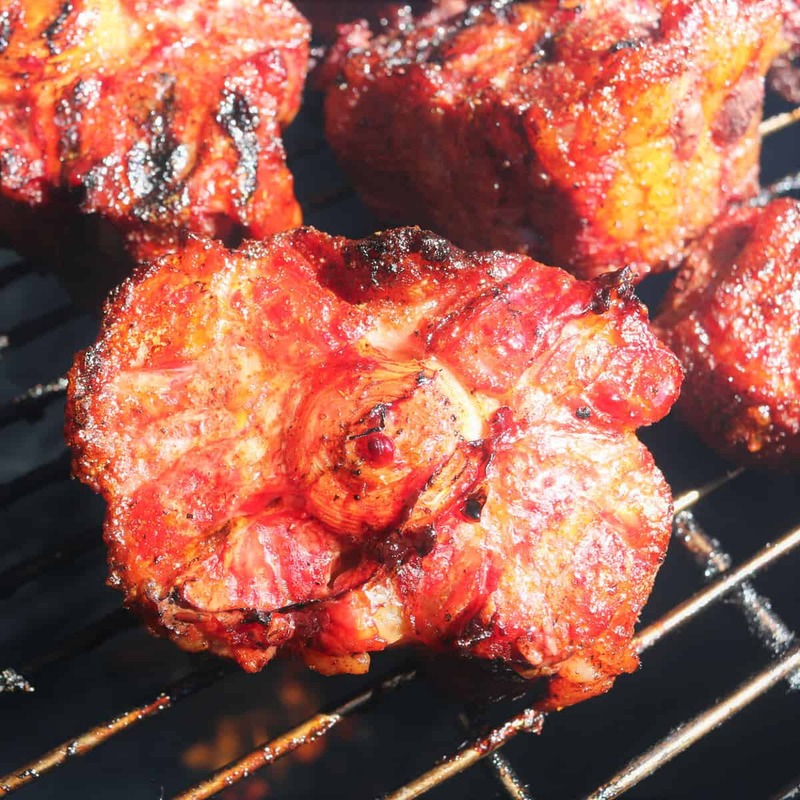 Place the oxtails on a cooking rack and smoke for 2 hours or until the outside is a dark mahogany color. 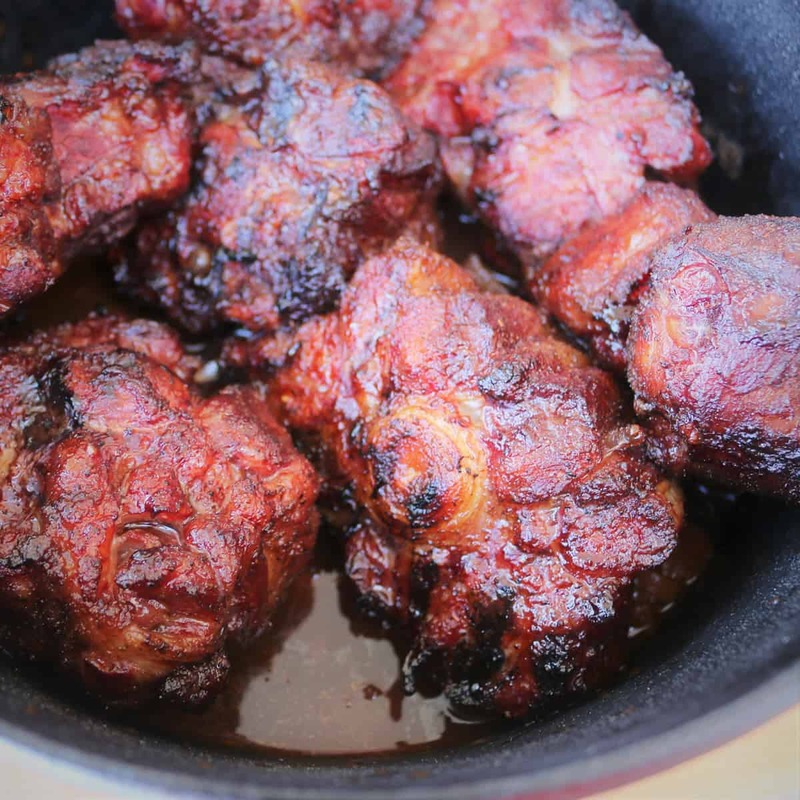 Remove the oxtails from the smoker and arrange in a large cast iron pot. Pour the braising liquid around the meat and cover with foil. Place the pot on the smoker and continue to cook for 2 1/2 hours or until the oxtails are fork tender. Remove the pot from the smoker and carefully transfer each oxtail to a large plate. Strain the braising liquid and skim the fat from the top. 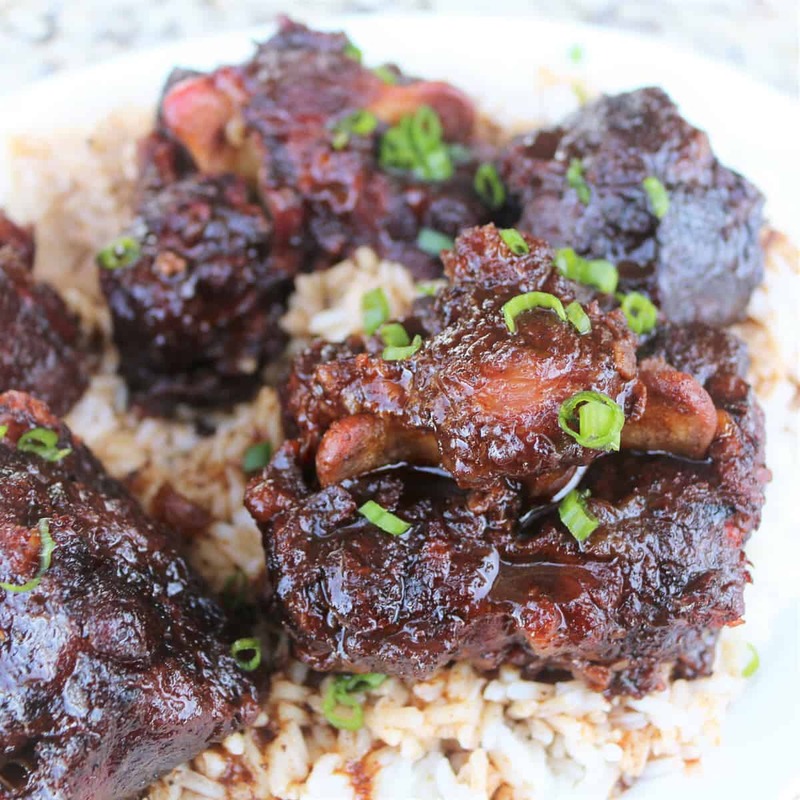 Spoon the rice onto a serving platter, arrange the oxtails over the rice and ladle the sauce over each piece. Garnish with green onions then serve.